The iPhone 8 is an incremental update over the iPhone 7 – it's strange that Apple decided against the 7S name here, as there's not a lot of new technology on offer beyond the improved screen and faster innards. While the iPhone X was announced at the same time as the iPhone 8 and iPhone 8 Plus, many people won’t be interested in the substantially higher price you’ll pay for Apple’s tenth-year anniversary model or for the plus-sized equivalent. Instead, you get yourself an Apple iPhone 8 for only $1,079 for the 64GB model and $1,329 for the 256GB model with the extra storage. The whole lineup, including the iPhone 8, was announced on September 12, 2017 and became available only 10 days late on September 22. Much of what was great about Apple’s iPhone 7 smartphone has been brought over the iPhone 8 but there’s also some pretty major improvements. As far as the design is concerned, much of the iPhone 7’s sleek, rounded chassis has returned with the iPhone 8, and while they might seem identical at first glance, there is one prominent difference. The iPhone 8 has incorporated an all-glass design, ditching the aluminium rear panel and replacing it with a super tough, super stylish Gorilla Glass. As a result, the iPhone 8 is now capable of charging wirelessly, alongside your Apple Watch and Apple AirPods, as long as you have the requisite charging dock (sold separately). Unlike the iPhone X, the iPhone 8 keeps its home button and fingerprint scanner, labelled the Touch ID, and as such, keeps a lot of the functionality that we most fondly associate with the iconic Apple button. Also returning is the iPhone 7’s IP67 water and dust proofing, making your iPhone 8 an excellent companion for jaunts out in the rain or the odd splash and oopsie moment. The iPhone 8’s 4.7-inch display has also gained the feature of True Tone display, borrowed from the iPad Pro range, which responds to your environmental lighting situation in order to make the colours on your photos, videos and games rich, vibrant and true to life. Most importantly, however, is the iPhone 8’s power boost. With Apple’s A11 Bionic chipset as the brains of the operation, you will be able to run everyday applications more smoothly and quickly, multi-task without a hitch, and play games that you wouldn’t think possible on a smartphone. This is the same processing chip that’s in the more expensive iPhone 8 Plus, and the much more expensive iPhone X, so feel confident knowing that this is the best value for money when it comes to a high-performance Apple iPhone. While the iPhone 8 doesn’t get the dual-lens camera of the iPhone X or iPhone 8 Plus, it uses the same clever software tricks to make your photos really come to life in post-processing. Apple’s designed its own Image Signal Processor in order to improve performance and results across low-light photography and videography, as well as sharpen up images and improve stability. The iPhone 8 is an excellent addition to Apple’s lineup, even if the design isn’t massively overhauled, the brains behind the looks are worth the upgrade alone. 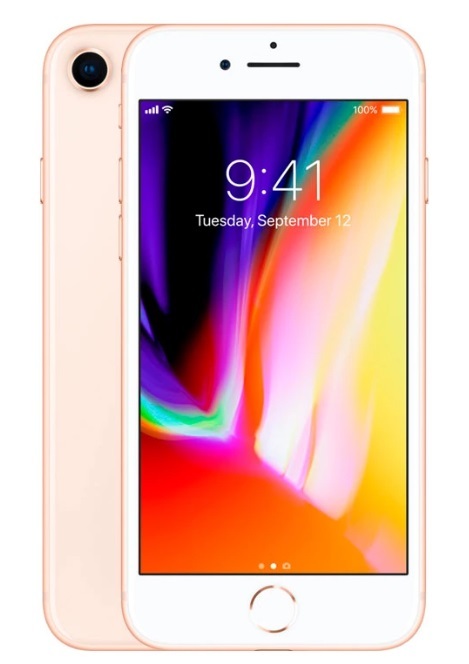 The Apple iPhone 8 Mobile Phone was added to the Mobile Cell Phones category in July 2018. The lowest price GetPrice has found for the Apple iPhone 8 Mobile Phone in Australia is $869.00 from Becextech. Other merchants who stock it are Becextech, think of us, Etoren, MobileCiti Online, Amazon AU, ozappliances.com.au.